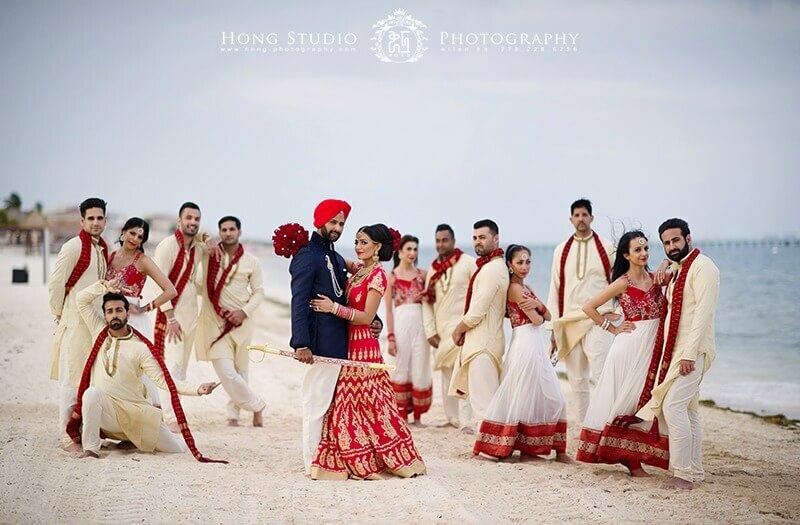 Needless to say that your wedding is a once-in-a-lifetime affair for you and your family. 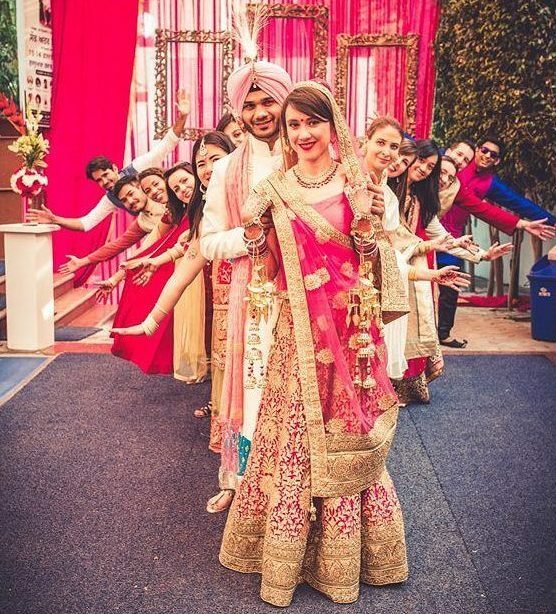 So, why go for those same boring pictures for your wedding album when you can frame all the craziness and fun you've had. 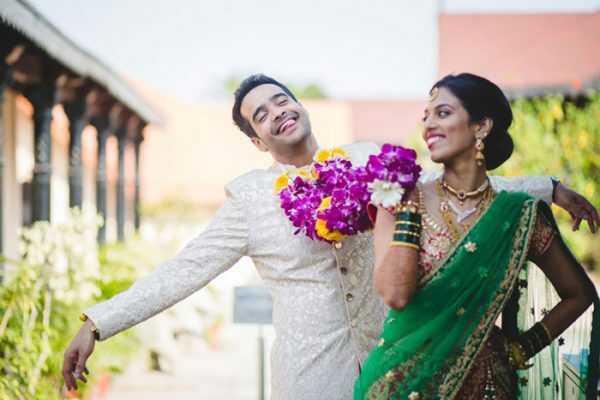 We’ve got some interesting, non-cliche Indian wedding photography poses that will add a touch of freshness and fun memories. 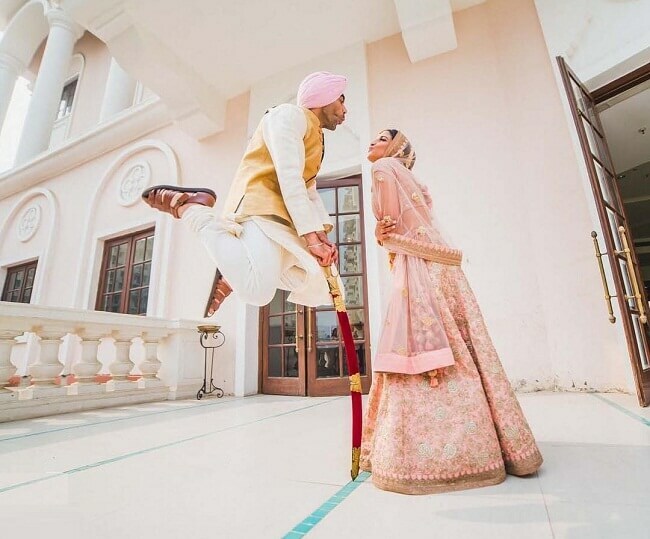 It’s the most unique way to swept off your feet. Especially a few hours before your wedding, this cute moment will last in your memories forever. A pose this fun right after your wedding vows are complete will be the highlight of your album. Don’t forget to be shot with the right expressions. 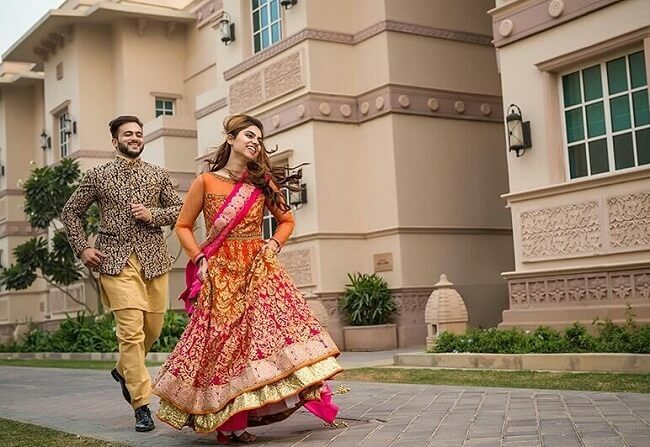 You don’t always have to run towards your prince charming… Pose like a runaway bride with your man chasing you and frame those fun moments to tell new tales later. When most grooms choose to bend on their knees and ask for their bride’s hand, you can choose something unconventional like this one. However, be careful because you don’t wish things to go ‘OUCHy” at your wedding. Vidaai is the most emotionally breathtaking moment that makes most of the brides anxious. 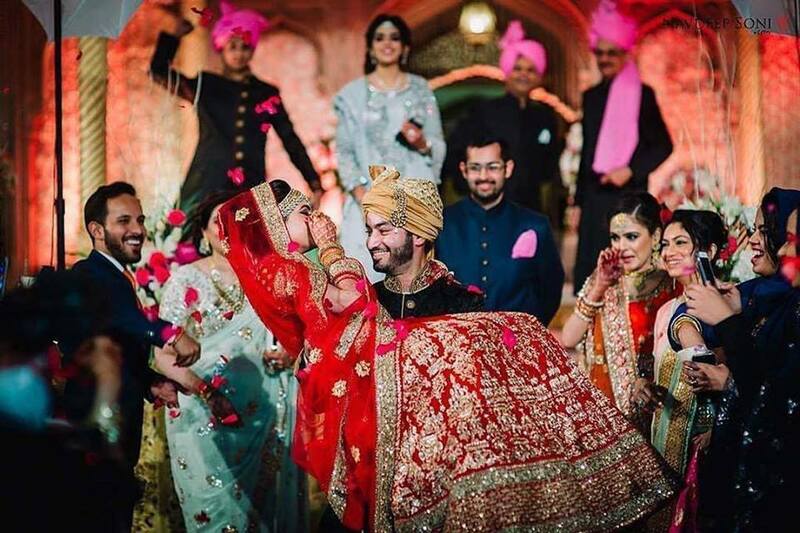 But imagine being clicked in the moment when your groom lifts you up in his arms and wipes those tears away. 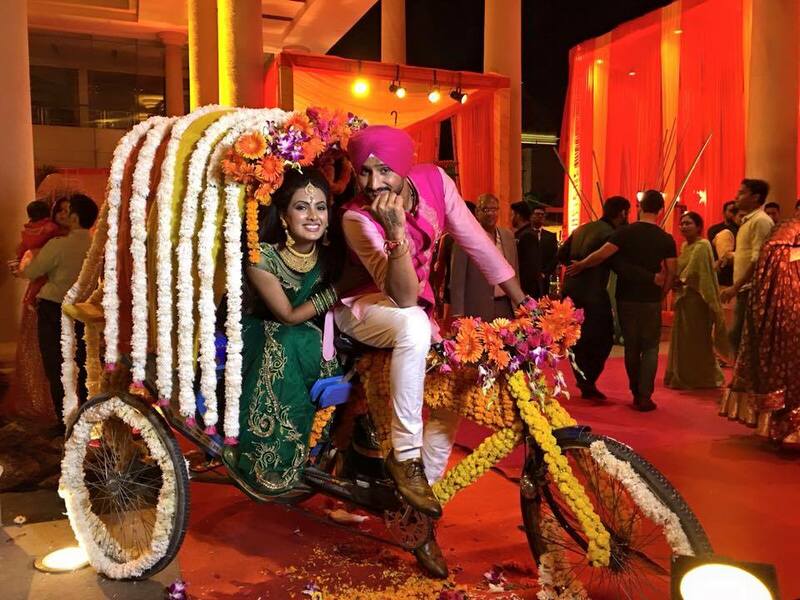 Indian weddings mean an overdose of floral decor and cutesy bicycles, autos or rickshaws. This unique prop will not only jazz up your wedding setup but also make for a perfect picture backdrop. Your best friends will always love the idea of being your shadows, especially when you’re in your stunning bridal glory. Arrange them together in a queue and get ready for some special-effects kind of shots. Yes ladies, it’s your time to take the centre of attention. For rocking up that heavy lehenga, jewellery, hair and make up with ace, this shot must be taken to define and celebrate YOU. Your man in the background and the love in his eyes won’t be missed. 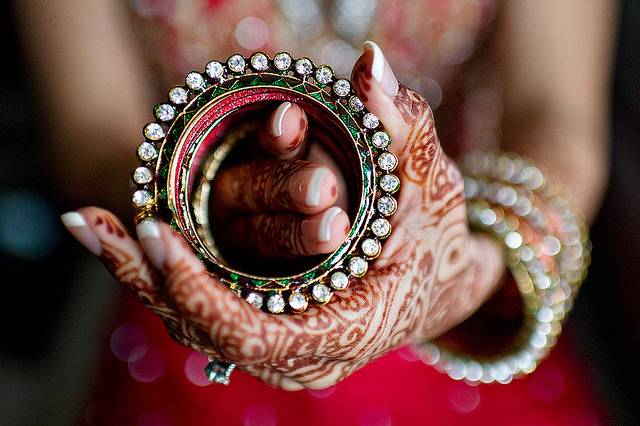 Indian wedding has a ton of intricate elements worth giving a closer look. Ask your photographer to put your chosen collections in perspective. You’ll be blown away by the results. 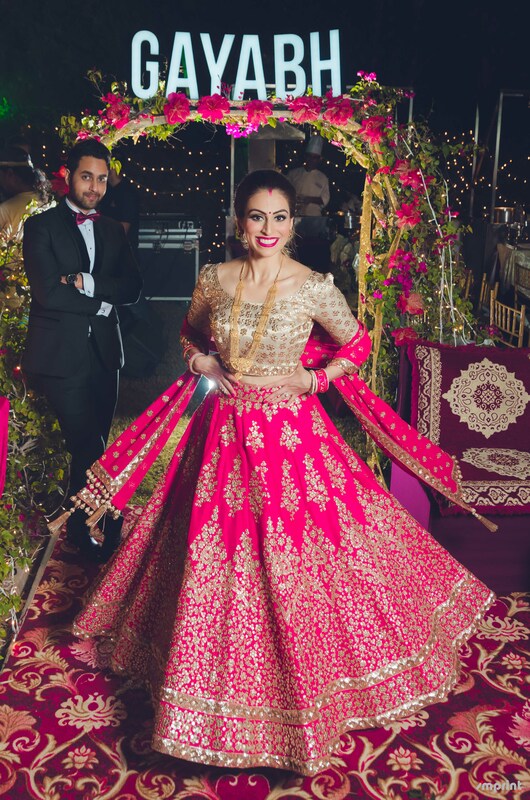 Recreate the magic of your favourite Bollywood brides. Being creative with your pictures will only make them more fun to look at even after many years of the wedding. 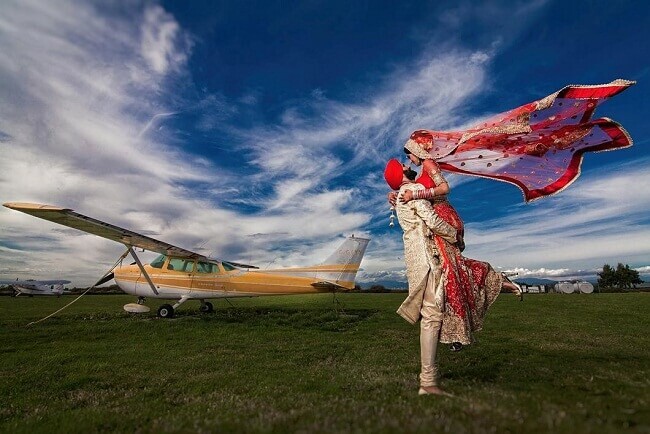 Let the world know what makes your dream destination click for your wedding. Gather your bridesmaids and other couples to pose in the background while you two strike an intimate pose amidst the natural landscapes. 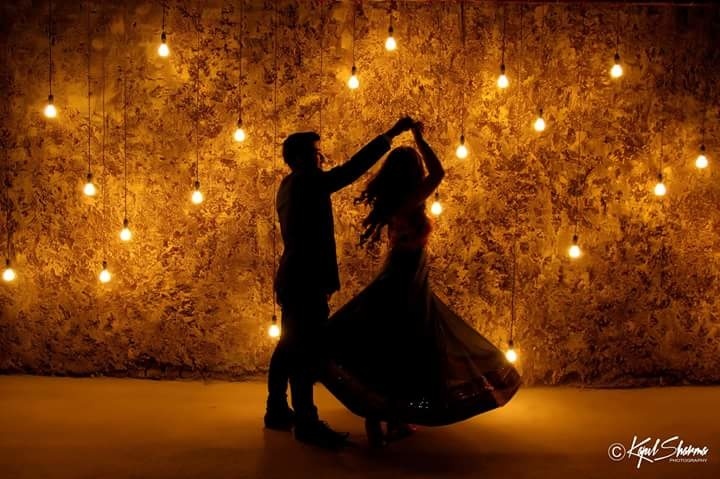 True love can be recognised even through shadows… This spectacular silhouette shot will take your wedding memories to another level. Don’t forget to highlight the backdrop with bright lit ambience or fireworks.